When notes won't play on a saxophone it's almost always due to air leaks. The tan/brown leather pads under the keys are supposed to seal the air from the tone holes. If a pad doesn't seal well, the saxophonist has to blow harder or squeeze the key until it seals. (Squeezing isn't good sax technique and slows the player down.) If a leak is big enough, the note won't play at all. Sometimes leaks are due to keys being bent out of position; when that's the case, the technician finds the leak and usually can make some quick adjustments to fix it. Keys sometimes stick because of frozen pivot screws or rods, but usually they've just been bent out of position. The technician bends them back into position and aligns them to move freely. In most cases he'll also need to replace their pads because they no longer make an airtight seal on the tone holes. If a keyguard is loose, sometimes it's simply a screw that has come out; if the screw is available (often it's in the bottom of the case) it can simply be screwed back in. If the keyguard has been knocked off, it will need to be soldered back; if that's all the sax needs, the technician can do it pretty quickly. When a saxophone gets a dent, a good technician can almost always straighten it with a little work. 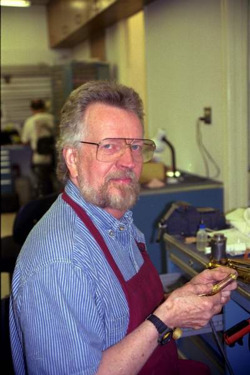 If the dent is small and didn't knock the body out of alignment, the technician uses special saxophone mandrels and hammers to bend the brass back into shape. As long as the keys weren't bent out of position, removing the dent may be all that's required; if keys are bent, the technician will realign them and replace the pads to get a good air seal. When the body of the sax is bent out of alignment, the job gets more complicated. First the technician disassembles the sax and bends the body back straight; then he reassembles it and adjusts and aligns the keys to work smoothly; and finally he replaces the pads so they will seat well on their tone holes. It's a big job, but a good technician can put it back in the condition it was before it was damaged. 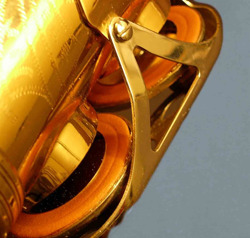 A good quality saxophone that is repaired properly should play as well as it did when it was new. And a good saxophone that is maintained properly should last a lifetime. 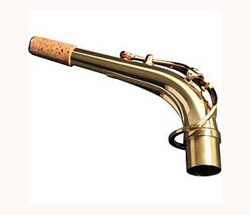 Why Choose Amro To Repair Your Saxophone? 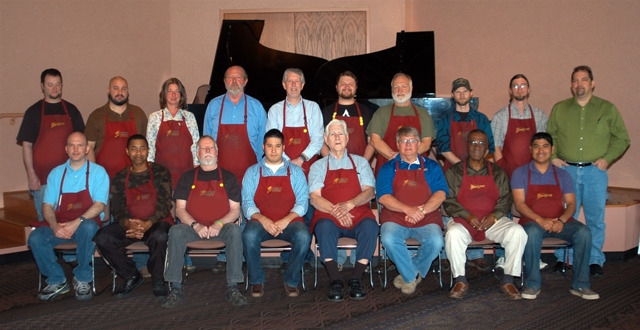 Amro saxophone repair technicians fix more than a thousand saxophones each year for saxophone students, hobbyists, and professional saxophonists. The Amro technicians can play-test your saxophone, show you what it needs, and quote you a price to put it back in its original playing condition. And in most cases they can complete the repairs in just a few days. Sax technicians are on-site: you can meet them, discuss the problem, and occasionally they can fix it while you wait. Even if you just want to know whether your sax is playing as well as it could, bring it by; we'll check it for you at no charge and no obligation.